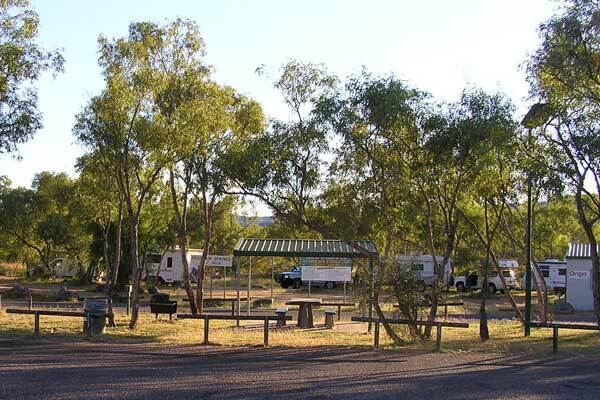 Fountain Springs Rest Area is a free camp located on the Barkly Hwy 60 km east of Mt Isa or 60 km west of Cloncurry. This is a very popular overnight Rest Area on the Barkly Hwy during the tourist season. It is only 300m from this Free Rest Area toward Cloncurry to the turn off to the Fountain Springs Falls. If you are at the Fountain Springs Free Rest Area at the right time you could see these local Mt Isa cars shown below, the rest area is a favorite spot for the proud owners to put their cars on display. Ideal for a day trip from Cloncurry, travel 60klm West on the Overlander’s Highway towards Mount Isa, turn left 100m before the Fountain Springs Free Rest Area. Follow this track in 27klm through a lovely part of this area, the colours in the quartzite Fountain Range on your right and Mount Philip on your left with its volcanic peak. The large split in the Fountain Range marks the entrance to the picturesque permanent waterhole of Fountain Springs. The main rockpool is quite deep and cold in the winter as the pool receives only a few hours of sunlight each day, this area is abundant with wildlife. Fountain Springs was the water supply for the nearby town of Ballara from 1913 through to 1927, and is one of the only permanent water sources in the area. Note: The track is not suitable for Caravans or Motorhomes. Camp Fires: Yes Max Stay: ?